Thanks to Jenn Bertman – author of the upcoming Book Scavenger – for the creative spaces interview! Check out her blog, her books, and other authors’ creative spaces here. 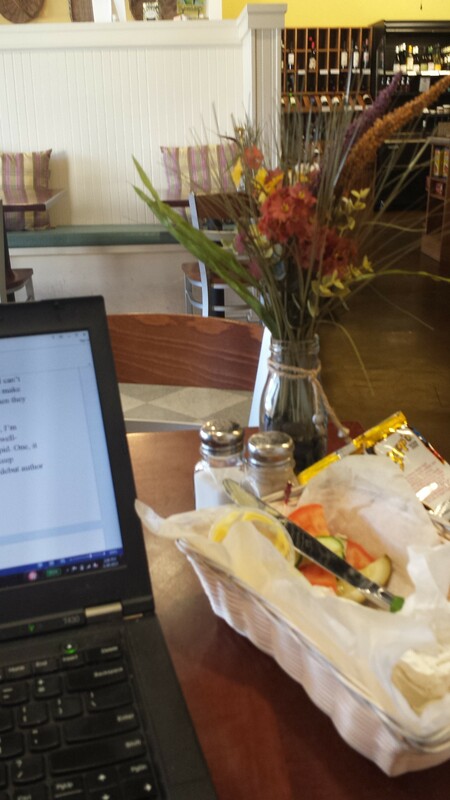 Here’s a photo I took while writing at Bull Street Gourmet and Market to get everyone in the creative space mindset.